With more choices, and more options from 20 to 50 tons in capacity, Miller Industries has led the industry with its complete line of towing and recovery units including the popular Century® 4024, 5130, 5230, 7035 and 9055. The line-up goes on to include the Vulcan V-24, V-30, V-70 and V-100. 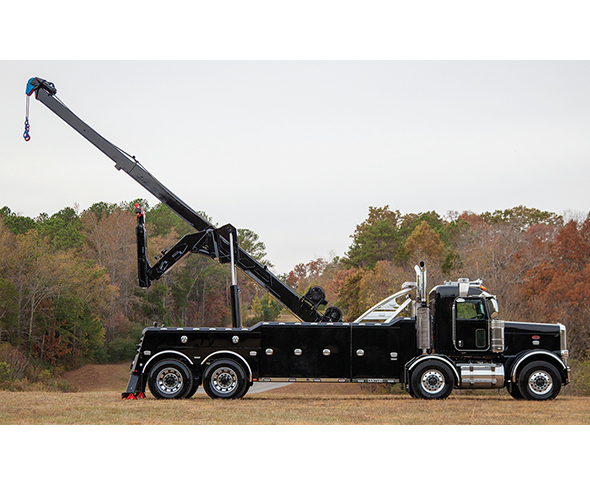 The weight-forward design of these heavy-duty wreckers provides for greater payloads when towing. Available in aluminum modular bodies or a Polybilt® body that provides durability along with additional rust and corrosion resistance. Call 800-292-0330 or visit Millerind.com.